Display your Mother Teresa stamps here. With you avatar and this picture, it kind of looks like this could be your sister Gordon. Went to church yesterday morning and picked up the weekly paper of the Archdiocese of New Orleans. I was excited to see that there was a stamp on the front cover. Yesterday, September 4, 2016, Mother Teresa was canonized and is now St. Teresa of Calcutta. The stamp was released on September 2, 2016 and only will print and sell a maximum of 150,000 sheets of 10 stamps each. 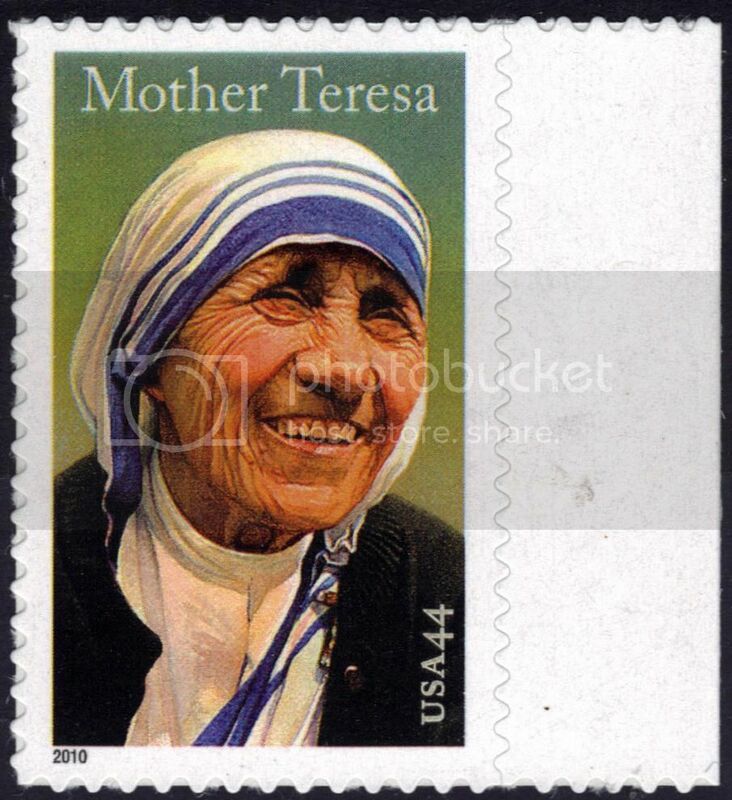 The 95-cent stamp features a wrinkled but radiant Mother Teresa smiling in her blue-trimmed, white sari. Overlaid on the design by Patrizio Daniele is another image of her holding the hand of a small child.